Having seen more than half the world on their own yachts, it was pure passion for sailing that brought French couple Lionel and Martine Mallard to the coast of Pondicherry. 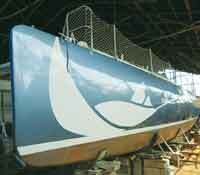 The friendly duo started their company, Ultramarine, in 1999 and since then has built over 25 boats. Their latest design is the Looping 50a��, an order by a French family who have been sailing around the world for a few years and wanted to continue on a bigger boat. With the new design, the duo hopes to kickstart a new collection of big boats that will be longerthan 18 metres. The Mallards do not believe in categorising their designs and look forward to customers planning their own boats with an estimated budget. a�?The family came with the design of the Looping and their own ideas about all the facilities on board. The double hull provides all the facilities people needa��every family member has his own room, the kitchen is huge, and the exterior space is wide enough to host friends for a barbecue party. The boat is still in the Pondicherry harbour, getting the last installations from her owner, and will be launched this week,a�? says CA�cile Hoorelbeke, head of administration at the company. Some common features of an Ultramarine boat, be it the sailing or the motor kind, are the wide panels a��from six to 15 metresa��and the construction materiala��wood and composite materials instead of the commonly-used steel and aluminium. a�?Every boat is a three-voices work between the shipowner, the architect and us. It can have a kitchen, bedroom, office, saloon and even washing machines. 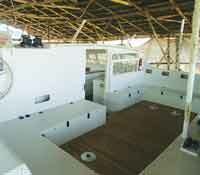 We consult specialised architects for all our boats,a�? she says. Also, the digital intervention has made connectivity easier on a boat, what with GPS, satellite phones, broadcast stations, radars and other electronic devices useful for sailing and security on board. a�?Most of the boats, especially the sailing variety, are built for high sea cruising. Motor boats and some boats under seven metres are more appropriate for coastal cruises,a��a�� points out Hoorelbeke. Unfortunately, Pondicherry does not have a marina, and thus, none of the boats built by Ultramarine are anchored in town. a�?Actually, all our boats are with their owners. While some boats are exported by container from Chennai, some sail from Pondicherry. In the latter case, the boat is launched from Pondicherrya��s harbour, which is where our latest Looping will be launched, too,a�? she adds. Whether it is staid cruises or high sea sailing, Ultramarine builds boats for everyone, that are in great demand in countries like Spain, Russia, France and Thailand. 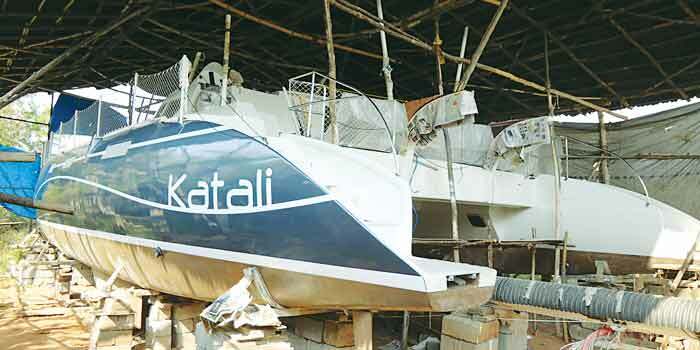 The company has built small sailing boats to be exported to France. Their tourist boat, the Pointus, now plies in Goa. They have also made a fishing boat for the Andaman Islands. a�?No one needs to be a millionaire to buy these boats. They are custom made and affordable,a�? assures Hoorelbeke.